Holly grew up in the bayside Melbourne suburb of St Kilda. She studied an Arts degree at Monash University, majoring in Archaeology and Classical studies. Holly then returned to Monash to study law, completing subjects in Italy and Malaysia as part of that degree. She has spent time living and working in Canada, before sponsoring her Canadian partner to come to Australia on a partner visa. It was this personal experience of navigating the difficult visa process that spurred her interest in migration. 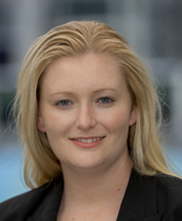 Holly is a solicitor and registered migration agent.